Faculty of Biological Sciences, Shahid Beheshti University, Tehran, Iran. Department of Environment, Faculty of Natural Resources, University of Zabol, Zabol, Iran. The rapid increase in per capita fish consumption in low-income, populous countries has made identification and utilization of new methods of aquaculture necessary to fulfill this demand. S. zarudnyi, is a fast growing endemic cyprinid which is found in the Sistan region in Iran (Abdoli, 2009). Hamun mahi feeds on aquatic plants (~75%), some animal foods (~25%) and detritus. Despite the ecological and commercial importance of Schizothoracine, there are only a few studies on them (Yongxing, 1997; Mir & Channa, 2009; Mir & Channa, 2011), and Kalbassi et al. (2008) extensively analyzed the karyotype in S. zarudnyi. Some hatchery programs were developed by The Iranian fisheries over a decade ago with the goal of restocking and stock enhancement after the severe drought of Hamun Lake in 2000. However, high mortality rate throughout larval rearing in intensive culture conditions, particularly during the period of exogenous feeding, has up to now hampered the process of Hamun mahi culture. The health and quality of spawners and environmental conditions during egg incubation determine the amount and quality of the endogenous reserves of larvae, and the environmental and feeding conditions affect the rate of larval development (Hachero-Cruzado et al., 2009). Rearing conditions, such as temperature and optimal feeding protocols, are critical for obtaining adequate survival and growth rates as well as optimal larval organogenesis and metamorphosis (Gisbert et al., 2008). Structural and functional changes in tissue, organs and body system are established during larval development. Therefore, invention of new methods of aquaculture is heavily dependent on the knowledge of larval development. The larval ontogenesis can be divided into different stages according to the main developmental events (Blaxter, 1988). Although the basic mechanisms of organ development are similar in all teleosts, there are inter-specific variations in the timing of organ formation, development and functionality (Hachero-Cruzado et al., 2009). 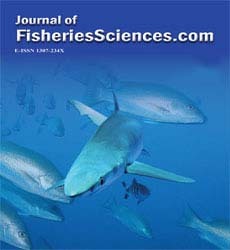 Therefore, it becomes necessary to carry out specific organogenesis studies for different species to optimize larval-rearing techniques and feeding conditions for fish (Gisbert et al., 2008; Zambonino Infante et al., 2008). The aim of this study is to describe the ontogenetic development of some organs including respiratory system, kidney, heart, spleen and swim bladder in Schizothorax zarudnyi larvae from hatching to Day 21 for a better understanding of their organization and functionality with a view to provide a basis for future aquaculture studies of Hamun mahi as an alternative culture species. Schizothorax zarudnyi larvae were obtained by natural spawning from a broodstock adapted to captivity at the Hatchery and Aquaculture Center of Zahak in Sistan & Baluchestan, Iran. The larvae reared from hatching to 21 DAH (days after hatching), at a water temperature of 17-18.5 °C, in 100 -liter tanks at density of 50 individuals per liter in an open circulation under a natural photoperiod. The larvae were fed from 5 DAH to 10 DAH with a mixture of milk powder and chicken egg yolk, and from Day 11 onward with a mixture of artemia nauplii and BioMar® fish meal. The larvae were randomly sampled and fixed in Bouin’s solution for subsequent histological studies. The samples were fixed in Bouin’s fixative for 24 hours, then were washed and dehydrated in an ascending series of ethanol for embedding in paraffin. Following embedment in paraffin, transversal and longitudinal sections of 4 μm were cut on a SLEE Mainz CUT 6062 microtome, collected on glass slides, and stained with a mixture of eosin-haematoxylin, fushcin and methylene blue. where Lf is the mean length of the sample in mm at the end of each developmental stage, Li is the mean length at the end of the previous stage, and t is the duration of the stage in days. 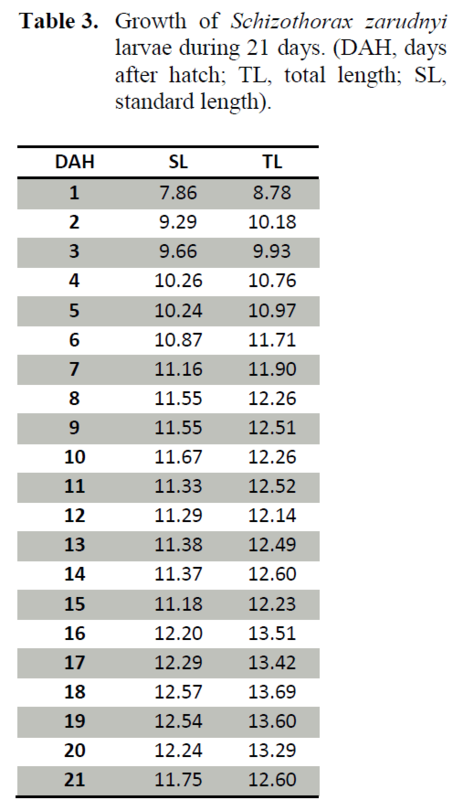 The highest AGR and SGR values were recorded during Stages 1 and 2, and the lowest during Stage 3, in conjunction with the endogenous reserves exhaustion at the end of Stage 2 (Table 1). A schematic synthesis of the main ontogenetic events occurring in S. zarudnyi related to each developmental stage is shown in Table 2. Table 3 shows changes in TL of Hamun mahi larvae during their first 21 days of life. During this period, fish growth was not uniform. Newly hatched larvae were measured 8.57±0.81mm reaching 11.79±0.58mm by the end of the period studied. Table 2: Schematic synthesis of the main ontogenetic events occurring in Schizothorax zarudnyi larva during endotrophic (Stage 1), endo-exotrophic (Stage 2) and exotrophic (Stage 3) periods. Numbers in brackets show number of days after hatching. Table 3: Growth of Schizothorax zarudnyi larvae during 21 days. (DAH, days after hatch; TL, total length; SL, standard length). During the first two stages, the larvae underwent intense organogenesis which was particularly prominent in Stage 2. Despite the first two development stages, the main characteristic of Stage 3 was the increase in size and complexity of pre-existing organs and not the appearance of new structures. Gills anlages were visible in the pharyngeal region at hatching (Figure 1a). Four pairs of primordial gill arches, formed by cores of chondroblast and covered by an undifferentiated epithelium, were evident at the beginning of Stage 2 (Figure 1b). First vascular structures exhibiting blood cells inside were seen by 3 DAH (Figure 1c). Primordial lamellae were first observed in filaments carried by the second and third gill arches appeared by 5 DAH (Figure 1d). The first mucous cells were observed in the gill filaments epithelium at 5 DAH (Figure 1e). The filaments were evident from 3 DAH and increased in length afterwards. Cartilaginous axis and taste buds appeared later by 10 DAH (Figure 1e, f). During Stage 2, pillar cells delimited lamellar vascular structures and chloride cells gathered at the base of the lamellae and inside the interlamellar spaces of the filament. The pseudobranch was first seen as paired structures located in the anterior zone of the branchial cavity at the beginning of Stage 2 (Figure 1b). During Stage 3, both the filaments and the lamellae increased in length and number. The pseudobranch continued to develop during Stage 3 with its cartilaginous skeleton appearing at 9 DAH. During Stage 3, the gill differentiation was also completed. The heart was already seen at hatching as a tubular structure located at the anterior part of the coelomic cavity, just below the gill anlage. Also blood cells were seen within the chambers (Figure 2a). At the beginning of Stage 2, the valve between the atrium and the ventricle developed and the four compartments became visible in the heart: atrium, ventricle, bulbus arteriosus, and sinus venosus (Figure 2b). The atrium oriented towards the ventricle. Latter it presented a thin wall and a big lumen with blood cells inside. From 3 DAH, first trabeculae were seen in the ventricle (Figure 2b). During Stage 2 (from 7 DAH), the atrioventricular valve was completely formed in conjunction with the proliferation of the ventricular trabeculae (Figure 2c). The atrial trabeculae were visible from early Stage 3 or 12 DAH (Figure 2d). The valves between sinus venosus-atrium and ventricle-bulbus arteriosus were first observed at Stage 2 and achieved its complete formation by the end of the last stage. The kidney, which was already present at hatching, consisted of several primordial pronephric tubules running just below the notochord axis and a few hematopoietic cells between them (Figure 3a). During Stage 2, primary renal tubules appeared. Also their convolution is started. Increasing in hematopoietic tissue was seen in this stage (Figures 3b, c). The renal tubules were covered internally by an epithelium composed of cubical cells with a large, centrally or basally located nucleus and cilia or microvilli on the apical surface (brush border). Each renal corpuscle was formed by a glomerulus and Bowman’s capsules at 8 DAH (Figure 3d). The structure of the pronephros at Stage 3 was similar to that of Stage 2 except for a noticeable increase in hematopoietic tissue. At the end of Stage 3, two regions were identified in the kidney: the anterior portion, occupied mainly by hematopoietic tissue; and the caudal region where developing mesonephric elements were dominant. At the beginning of Stage 2 (3 DAH), primordial swim bladder differentiated from the dorsal wall of the digestive tract (Figure 4a). Gas glands were also become apparent from 3 DAH. The rete mirabile became more evident from 4 DAH (Figure 4a, b). Swim bladder epithelial lining was formed from columnar cells similar to those of the gut and its structure began to inflate by 5 DAH (Figure 4c). At 7 DAH, the swim bladder lumen was observed to be connected to the digestive tube through the pneumatic duct (Figure 4d). The swim bladder was more structured during Stage 3. Spleen anlagen were first seen during the lecitoexotrophic period at 5 DAH (Stage 2). They initially consisted of loose small spherical clusters of mesenchymal cells located at the vicinity of the liver (Figures 5a, b). At the same stage, the organ started to acquire its elliptic shape, as development proceed, the spleen being formed at this time by mesenchymal and hematopoietic basophilic cells and surrounded by pancreatic tissues. Moreover, the splenic ellipsoids and sinusoids were visible during Stage 3 (Figures 5c, d). The histological study presented in this paper provided information on the internal structure, and therefore, the functional status of larval S. zarudnyi during its different ontogenetic stages observed at ‘‘arbitrarily chosen moments” (Osse & van den Boogaart, 1999) of an essentially continuous process of development distinguished by the appearance or disappearance of discernible histological characters. From the tabular overview presented here, it is apparent that Hamun mahi larvae undergo intense organogenesis during the first two stages particularly during early Stage 2. On the contrary, Stage 3 is not characterized by the appearance of new structural elements but by quantitative changes experienced by pre-existing structures. Although the basic mechanisms of larval development do not differ greatly among teleosts, there is some interspecific variability in the timing at which the different ontogenetic events occur (Blaxter, 1988; Hachero-Cruzado et al., 2009). In this study, during Stage 1, primordial kidney, heart and gills were present (at 0 DAH) and developed dramatically. This shows the importance of such organs to larval development in early days of life. Osmoregulation is assured in larvae as in any other fish species (Walles & Tytler, 1996) by chloride cells located on the whole body surface of the larvae particularly in the buccopharyngeal epithelium (Santamaria et al., 2004). Also it is recognized that the gill becomes functional when lamellae develop. Comparing with most teleosts which develop lamellae only in the second half of exotrophic stage, in Schizothrox larvae, lamellae appear during Stage 2 (Lecitoexotrophic period) at 5 DAH (Santamaria, 2004; Sanchez-Amaya et al., 2007; Hachero-Cruzado et al., 2009). This shows a fast-developed gill system so that there is no intense morphological event in the respiratory system during Stage 3 except for increase in length and number of filaments and lamellae. At 3 DAH, the circulatory and excretory system became functional in Schizothorax larvae mainly due to the compartmentalization of the heart. The swim bladder started to inflate on Day 5 after hatching similar to what was reported by Unul et al. (2001). In contrast, in sole (Boulhic and Gabaudan 1992) and coregonid larvae (Loewe and Eckmann, 1988), this inflation happens several days later. The inflation time of the swim bladder may be important in catching of living prey (Unul et al., 2001). Spleen is one of the most important lymphoid organs of teleosts. In freshwater teleosts spleen is the last organ to become lymphoid. However, in marine teleosts the order in which major lymphoid organs develop is kidney, spleen and finally, the thymus (Zapata, 2006). Our observations on spleen development of Hamun mahi is similar to that of freshwater fish (Walles and Tytler, 1996; Zapata, 2006). In summary, the study of developmental steps of Hamun mahi (Schizothrox zarudnyi), reveals that the larvae follows a similar ontogenic pattern as in other teleost fish species, although some interspecific differences in the timing of organ and system development were observed. We dedicate this work to deceased Co-author, Hossein Abbasi. 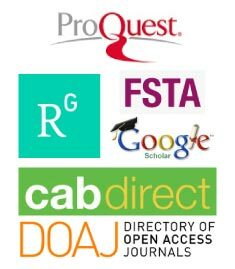 Also Authors would like to thank Elham Karimi for technical assistance at SBU and Dr. Mostafa Nayyerloo at GNS Science, New Zealand for his invaluable editorial comments on the paper and proofreading. Abdoli, A., (2009). The inland water fishes of Iran. Iran Wildlife and Nature Museum (Darabad), Tehran. Blaxter, J., (1988). Pattern and variety in development. In. W. S. Hoar and D. J. Randall. Fish physiology Academic Press, New York: 1-58. Gisbert, E., Ortiz-Delgado, J. B., Sarasquete, C., (2008). Nutritional Cellular Biomarkers in Early Life Stages of Fish, Histopathology, 23(12): 1525-1539. Osse, J.W.M., van den Boogaart, J.G.M., (1999). Dynamic morphology of fish larvae, structural implications of friction forces in swimming, feeding and ventilation, Journal of Fish Biology, 55: 156-174. Unul, G., Cetinkaya O., Kankaya E., Elp M., (2001). Histological study of the organogenesis of the digestive system and swim bladder of the Chalcalburnus tarichi Pallas, 1811 (Cyprinidae), Turkish Journal of Zoology, 25: 217-228. Walles, W., Tytler, P., (1996). Changes in chloride cell distribution during early larval stages of Clupea harengus, Journal of Fish Biology, 49: 801-814. Yongxing, C.A., (1997). Embryonic development of Schizothorax kozlovi in upper reaches of Wujiang river, Sichuan Journal Zoology, 16: 171-174. Zambonino Infante, J.L., Gisbert, E., Sarasquete, C., Navarro, I., Gutierrez, J., Cahu, C.L., (2008). Ontogeny and physiology of the digestive system of marine fish larvae, feeding and Digestive Functions of fishes 277-344.